The Fish Company reserves the right to cancel orders, e.g. due to incorrect price information and also to change prices or to stop offering product types without notice. The right is reserved to confirm orders by telephone. All products are processed the next business day after ordering. If the product is out of stock, the service representative will contact and report the expected delivery time of the product. All orders are distributed by Iceland Post and Iceland Post’s delivery, warranty and shipping terms apply to the delivery of the product. According to this, the Fish Company is not responsible for any damage that may occur to a product during transportation. If a product becomes damaged from being shipped from the Fish Company to the person in question, the damage is the responsibility of the buyer. The buyer has 14 days to cancel the purchase, provided he has not used the product, it is returned well in the unopened original packaging. If a product is sealed, do not break the seal. The deadline begins to pass when the product is delivered to the registered recipient. A purchase receipt must be included. Refund is made in full if the above conditions are met and after the product is received. Transportation and postal charges are non-refundable. 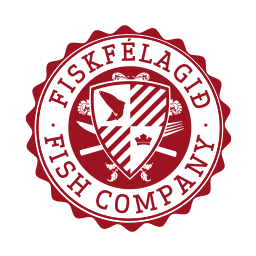 Please contact Fish Company with questions. Please note that prices online may change without notice. All prices in the store are VAT and invoices are issued with VAT. The seller wholly confers on the buyer all the information provided by the buyer in connection with the transaction. Information will not be disclosed to any third party under any circumstances. Terms of service apply to services trade, which are defined in the Act on Housing and Distance Contracts no. 46/2000 and the Act on Service Purchases no. 42/2000. The venue of the Gamla Fiskfélagið is in Reykjavík.